Customers must bring a reusable cup, drink in or pay a deposit on a cup they can return to any branch. How has it affected the business? Mr Roberts says thankfully the business is supported by a strong food offer and most customers are supportive of its stance on single use cups. But he agrees a smaller coffee shop would struggle to finance a ban. 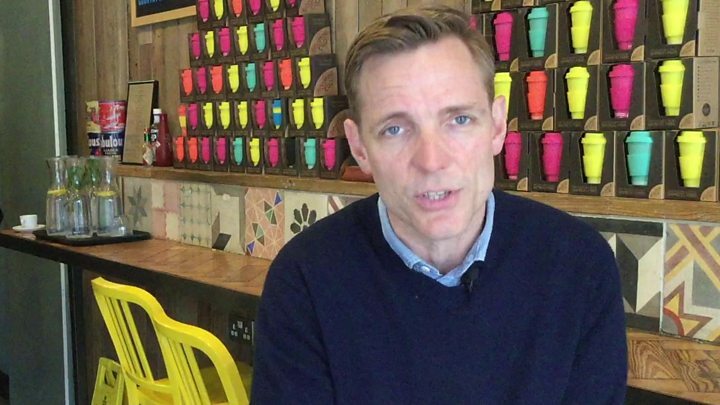 He said: "We have lost around 25% of our takeaway coffee sales but we modelled that into our costs as passing trade who don't want to get involved in the cup loan scheme. "There's too many operators not dealing with the problem and putting their profits before the planet. "We are 100% committed and there's no going back." 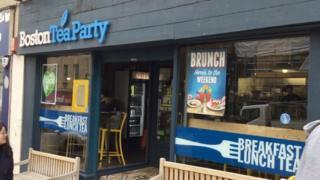 Media captionBoston Tea Party says it has lost £250,000 in sales from the move. But what about the other chains? Pret A Manger offers a 50p discount on hot beverages if people bring their own reusable cup. A spokesperson said: "We doubled our discount for customers who bring in their own reusable cup to 50p in January 2018 and, since then, usage has increased almost 20-fold. 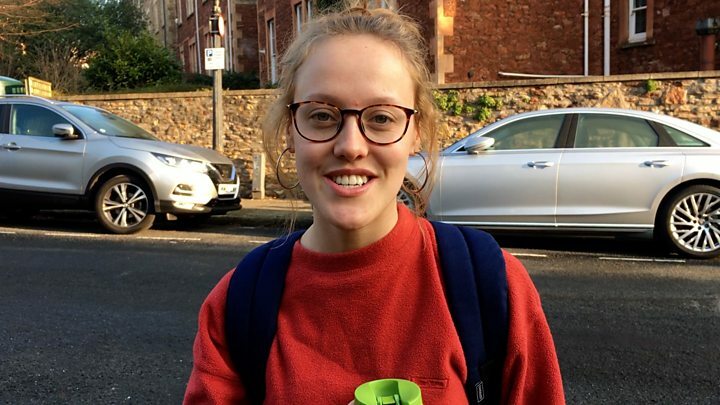 "We now serve over 150,000 drinks in reusable cups every week, and since the discount was doubled, Pret customers have saved over six million paper cups." Starbucks offers customers a 25p discount on hot beverages if they bring their own reusable cup. Starbucks has announced its London cafes will trial a redesigned cup that will be both recyclable and compostable. A spokesman said: "Our British stores are the first globally to have trialled a 5p charge on takeaway cups." He said reusable cup uptake had risen from 1.8% to more than 5% in the past 18 months. Along with McDonald's it has invested £10m in firms hoping to design a sustainable alternative to the disposable cup. Caffè Nero says that, along with its competitors, it is "working to increase the number of [coffee cup] recycling points" in the UK. It also encourages the use of reusable cups by offering 2 stamps per coffee on its loyalty card. Why are coffee cups a problem? Very few disposable coffee cups get recycled. In 2011, a survey by Which? suggested eight out of 10 people believed coffee cups were being recycled. Mike Turner from the Paper Cup Alliance said paper cups were "100% recyclable" and there were five facilities in the UK that did so. "What is needed is further collaboration between consumers, retailers, waste management companies and local councils to get more paper cups to the recycling plants," he said. A Parliamentary report in 2017 said only 1 in 400 cups were being recycled but Mr Turner said this had risen to 1 in 25 and was increasing. A so-called "latte levy" was rejected in the autumn budget as ministers argued it was better for shops to offer voluntary discounts to customers bringing their own cups. Rebecca Burgess from City to Sea said more chains should follow BTP's lead. "The evidence is clear that levies are effective in changing throw-away behaviour," she said. "While we celebrate any steps taken by retailers to reduce their use of single use plastics, the discounts currently offered by chains for bringing in their own reusable coffee cup aren't enough to address this growing issue."